Showing on the 14inch screen is the Late Show on BBC2 and scheduled to appear are a new US band called Sugar. The singer of this band had been in a group that many of my favourite bands listed as a major influence. I had heard a snippet of a Sugar song on the radio a few days before and I was keen to hear more. Eventually they are introduced and they launch into “Helpless”, 2.47 minutes of fuzzed up yet beautifully melodic guitar twangery with urgent, earnest sometimes desperate, vocals. Straight away I knew that these guys were going to be important for me. I rushed out to buy their debut album as soon as I could (there was no internet to simply download the songs, I had to get a bus, find a shop that sold it and actually purchase a CD). The album was called Copper Blue and it remains one of my favourite records. About the same time that I was swooning to Sugar records I was studying chemistry at school… badly. I really liked the subject although I lacked the application and finesse to be a true chemist. My chemistry teacher described me as a “bucket chemist” - best left to mix stuff in a bucket to see what happens rather than run more complicated experiments that required precision and accuracy. He was spot on, doing an experiment with some plain white crystals to synthesise one mole of water was a bit uninspiring for me. I liked whizzes, bangs and colourful solutions bubbling away in test tubes and reduction flasks. 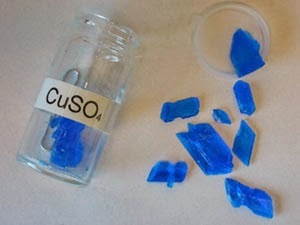 One experiment did stick in my mind though when one afternoon we made copper(II)sulphate crystals. I don’t remember the nuts and bolts of the procedure, but I have a vivid picture in my mind of the stunning azure blue crystals that I had made. It looked like a pile of little blue gems, precious stones from Pluto, Mars or Neptune - anywhere but Earth. In 2008 the artist Roger Hiorns pumped 75,000 litres of copper (II) sulphate solution into a building and encrusted an entire flat in these magical blue crystals. One day I hope to see it; that sounds like my kind of chemistry. 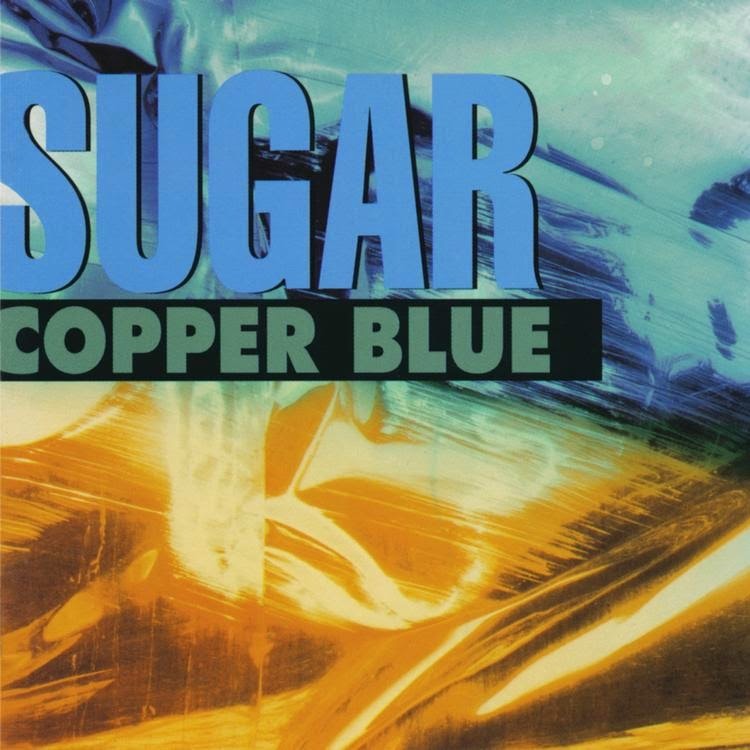 Those crystals and the release of Sugar’s debut album will mean that the words Copper Blue will always be a bit special for me, evocative of my youth, never too far from my mind. 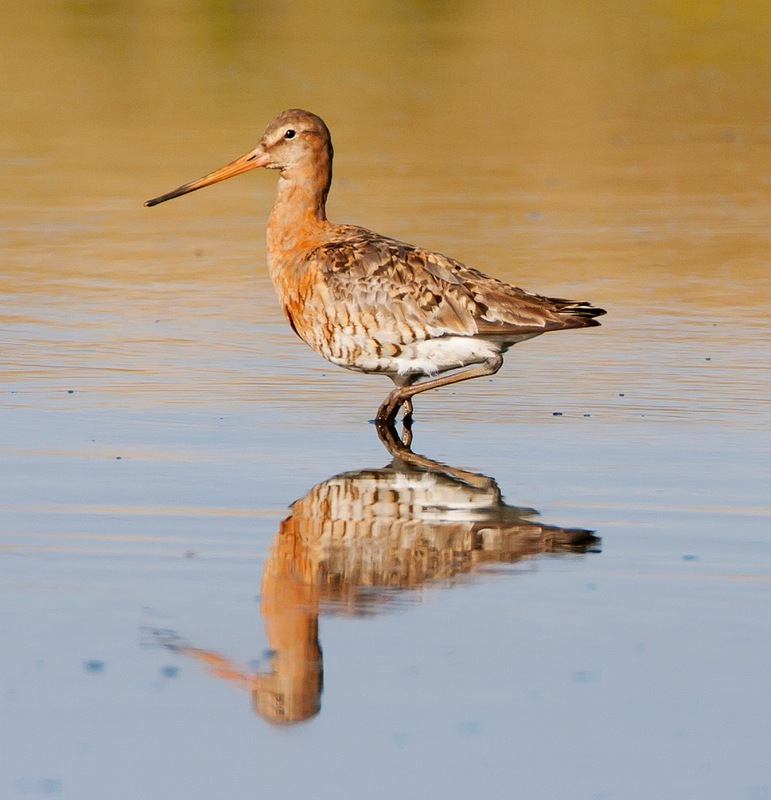 Then the sound of 100 or so Black-tailed Godwits swooping into the pool at Gilroy snaps me from my nostalgic daydream. I have been waiting for them. Patiently I might add, I may not have had the patience for chemistry but birdwatching has given me this skill in abundance. The sound of the air being ripped apart by so many pairs of wings is surprisingly loud and a little scary. It sounds like a quite apocalypse, a small polite Armageddon. I have heard it on many occasions but it never fails to impress or disconcert. The tide is flooding the not-so-far away mudflats and the birds have made the short flight from the estuary over Grange Hill to Gilroy where they will see out the inundation of their feeding grounds. 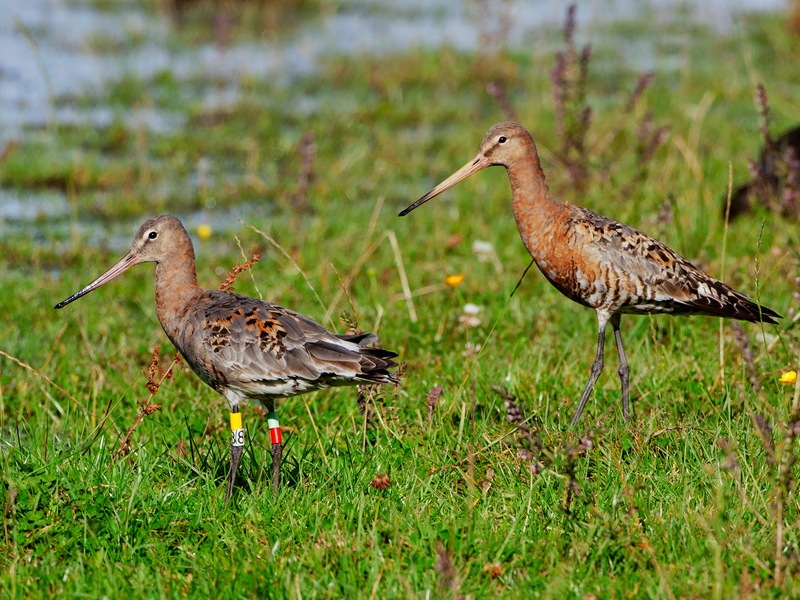 Gilroy has been red hot for Blackwits all summer. They were present into May and the first birds arrived back from Iceland in the first week of July. I have been through the rather unattractive black metal kissing gate and made the short walk along the footpath that would eventually lead you to Hoylake nearly every day to see these shorebirds. Just past the allotments the sign for the nature park would take you off the path to the left, but the real birdwatching treat is on your right in the flooded field that is usually just home to a few horses. Right now though, the horses have some noisy neighbours and this seems to have puzzled the normally placid occupants of the field. 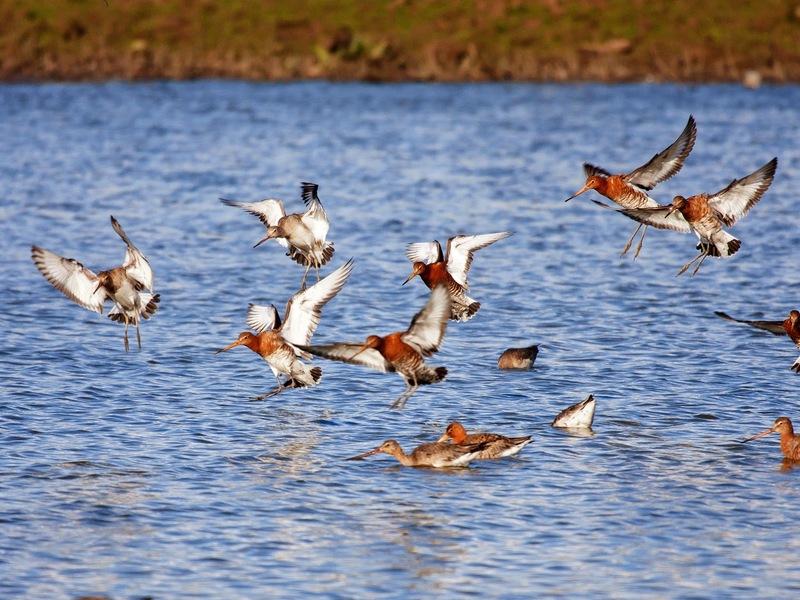 I dismiss this ludicrous idea as some more Blackwits roar in from overhead. Since the birds started to return to Gilroy in early July the keen Blackwitters on the Dee have been keeping tabs on them. We have got to know their routine and as I write this it occurs to me that I have accidently fallen in synch with them. 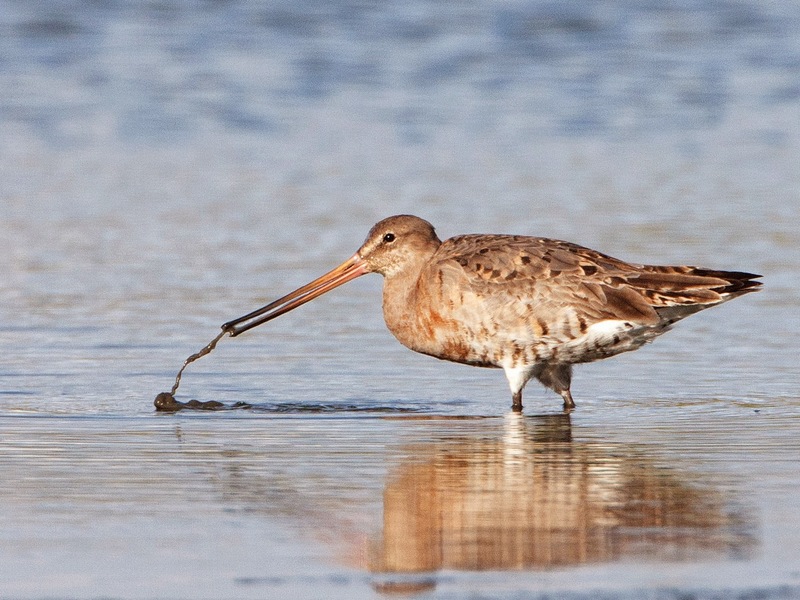 I work out what I am going to do in a day around when the Blackwits will be arriving in to Gilroy; my attendance at social engagements is dependant on the tide and the resultant whereabouts of the Godwits. At any given moment I reckon I could predict where and what the Blackwits are doing. This is not a blind obsession, it is more a passion for these beautiful waders, a desire to contribute to the research being done on their migration ecology and the conservation ideas that may result from these studies. To assist these projects we search the flock for colour ringed individuals and record the colour combinations. We find a few each day, some regulars – old friends – and the odd one we haven’t seen before. We also look for juvenile birds making their first treacherous journey south. We record numbers and the % that they make in the flock. We spend hours with eyes pressed to the telescope looking for their distinctive speckled plumage. I enjoy photographing them too. On sunny days I concentrate on capturing their behaviour with my camera. 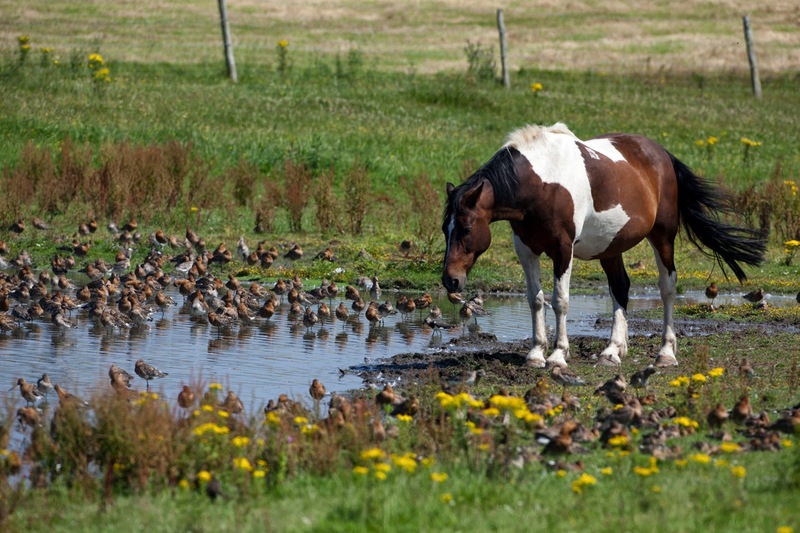 I have spent so much time with them that I know their habits, how they feed, the way they always do a little jump from the water when they are finished washing. The way they preen their feathers. I can predict when a scuffle will break out. I know what spooks them (Sparrowhawk, angry Coot) and what doesn’t (Kestrel, angry Moorhen). I have seen plenty of other things while shooting the Blackwits. Wood, Green and Common Sandpipers have all come and gone since the flock arrived. A Greenshank hung around for a couple of days. A couple of Snipe joined them briefly. A lone Dunlin once spent a tide roosting with them. So small it was able to stand under the belly of a roosting Godwit. Unusually for a freshwater site we saw 4 Knot with them, one in smart summer plumage. 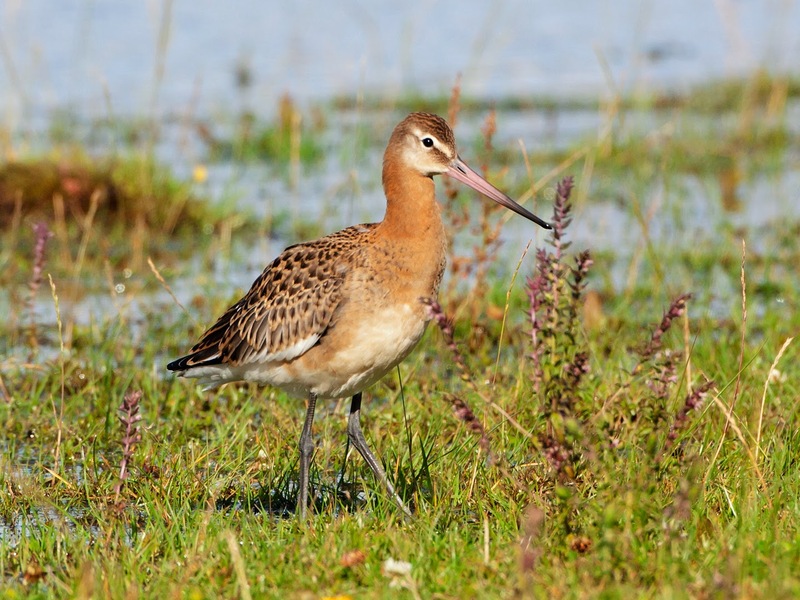 The plumage of the Blackwits is stunning. Depending on the angle of the sun and the time of day they can look peach, orange, terracotta and/or copper. And the pool, it appears to compete with the sky for which can be the bluest in a sort of “blue-off”. I stare at the sky for a while, my eyes relaxing after hours at the eyepiece/viewfinder. The blue reminds me of something.... reminds me of a copper (II) sulphate solution. Chemistry lessons from long ago drift across my mind. This deep rich blue seems to perfectly compliment the copper colour of the birds. The sun burns off a small fluffy white cloud and the Blackwits plumage shines in the light. They look metallic. 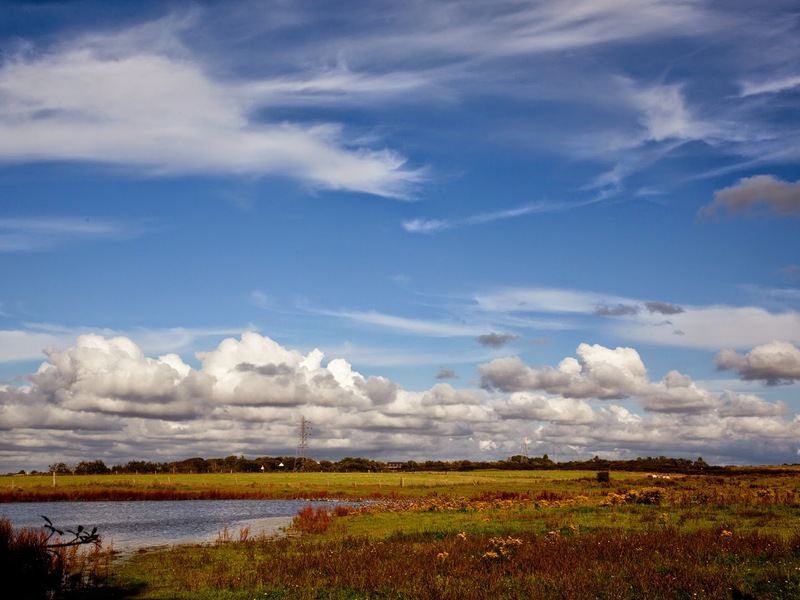 Copper Blackwits and Copper (II) Sulphate sky.